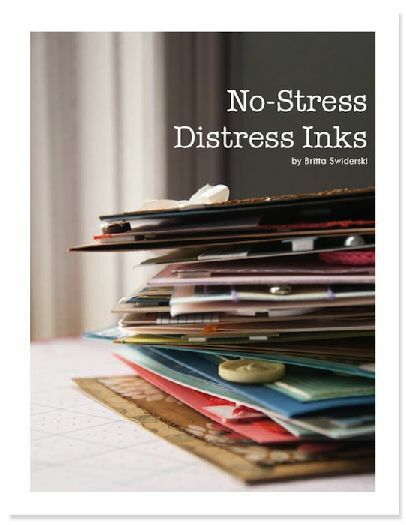 Now you can own a copy of No-Stress Distress Inks for yourself! This e-book is 24 pages long and contains all of the original material from the class series plus much more. A wonderful guide to go along with the first twelve lessons on YouTube plus three exclusive and valuable No-Stress lessons all for just $15.00 USD. I recommend snatching up this great deal of a complete crafty book + 3 videos of absolutely exclusive content. No one else will ever see those exclusive videos outside of this e-book package! You have those Distress Inks, so let's put them to good use. Shall we?